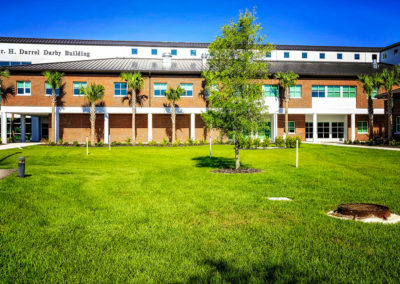 BCI designed and implemented several new audio video systems in Warner University’s new Darby Building. 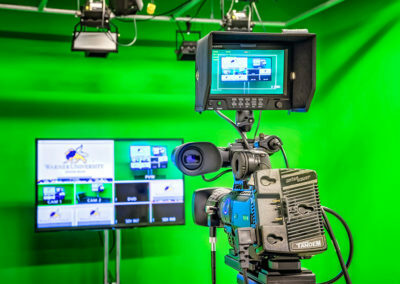 The scope included thirteen classrooms, one divisible Lecture Hall, one audio recording studio, one green screen video capture studio, and one video production studio. The classrooms were designed with both the instructor and students in mind. The AV system provided multiple sources at the instructor’s podium tied to controllable switches, allowing for easy operation with a wall mounted touch screen control panel. Once the source was selected and routed the signal was sent up to the ceiling mounted 5,000-lumen projector which displayed the presentation to the class. Overhead in-ceiling speakers were installed to allow for even audio coverage throughout the class. The split lecture hall entailed two individual systems with the capability of combining to make one large presentation space. The instructor’s lectern incorporated multiple sources such as a Laptop, desktop PC, interactive annotation overlay and a presentation microphone. Each side has a floor box for the podium connection when the spaces are separated, the system uses the center floor box when in combined mode. Each side has a designated touch screen control panel which allows the instructor to change sources, adjust volume and turn on and off the system. The video systems consist of two large 7,000-lumen projectors which are displayed onto two motorized 133” projection screens. BCI installed four point source wall mounted cabinets to ensure the audio system could handle any event or crowd. With the flexibility, Warner University can host many events and tailor their space to the needs of each group exclusively. In anticipation of developing a new video production curriculum for incoming students, Warner University asked BCI to design and implement an audio video production studio to allow them to teach multiple facets of AV production. To allow for as many teaching aspects as possible BCI designed three distinct spaces dedicated to AV production. 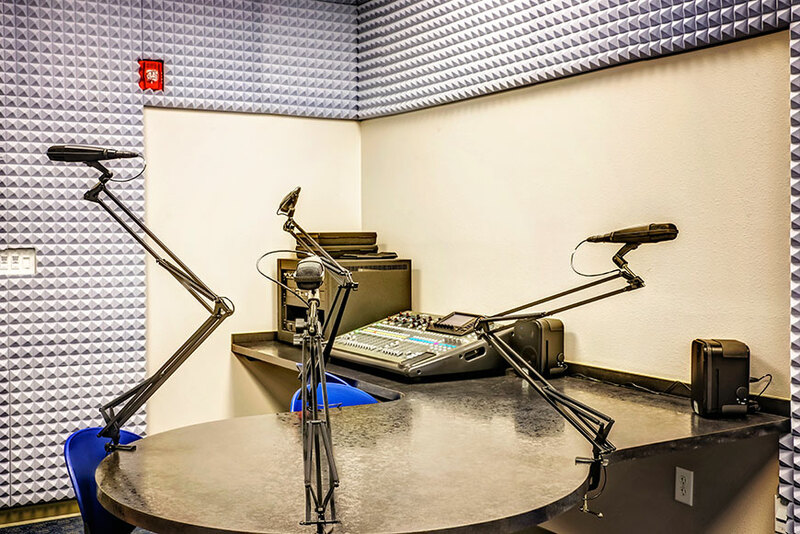 The first space was the audio recording studio which was outfitted with a 32 channel digital mixing console, multiple studio quality microphones, audio playback monitors and local audio recording. To ensure the students were able to learn and record uninterrupted, BCI installed three selectable ON AIR led signs outside the rooms. Next, BCI designed a green screen video capture room which allowed the students to learn proper studio camera operation, audio pick-up, confidence monitor usage and proper LED lighting. This room was outfitted with two studio-grade cameras installed on two mobile tripods cabled to a large preview monitor. When the cameras were used with the green screen back-drop, the students can go in later and edit in different effects and scenes behind them. We also installed a 60-inch LED confidence monitor on a mobile cart to allow for multiple room configurations. 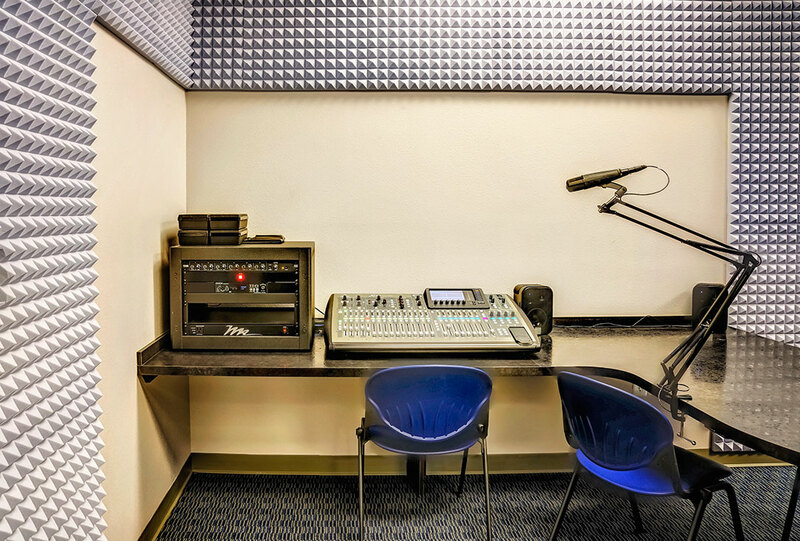 All of the equipment ties into the adjacent audio video production room. 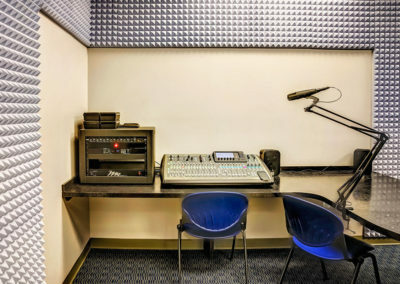 In this room students have the capability of selecting a video source such as an HD camera feed or a local video from a PC and mixing the sources to create their own custom productions. 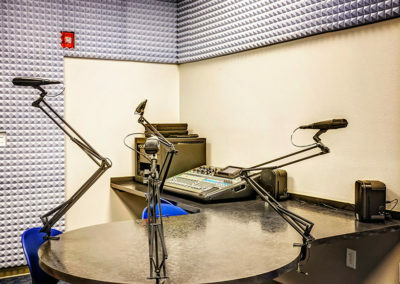 Along with the video feeds, the students can take several audio feeds from multiple wireless mics as well as local inputs to mix the desired audio with the desired video. All of the signals are then routed into two solid drive recorders to save their presentation for later editing. 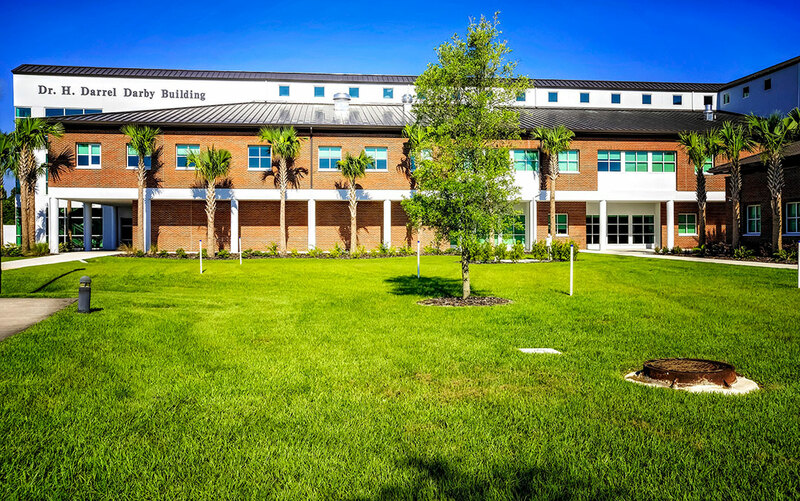 BCI Integrated Solutions is grateful Warner University chose us to work on their project, and hope they love their solution as much as we loved creating it.